Our vineyards enjoy privileged weather conditions for growing grapes thanks to the confluence of Continental and Mediterranean climates with considerable temperature differences between day and night. We pamper our vineyards throughout the growing season, from pruning to harvesting, to produce the best possible wines of high quality to satisfy lovers of good wines. We are always searching for excellence, bringing in our wines all the best characteristics of the terroir. We offer wines that show the inherited personality and values of good winemaking while offering modern, different and consumer friendly wines. We strive to highlight the singularity of our wines, showing the uniqueness of the vineyards where the grapes were grown. The Tempranillo variety occupies 31,046 hectares of cultivated land, which represents 61% of the D.O.Ca. Rioja, with a steady growth over the last few years at the expense of other varieties. It is considered to be a species indigenous to the Rioja region and its Spanish origin is internationally recognised. The Tempranillo grape sets very well but is very sensitive to pests and disease and not very resistant to drought or high temperatures. Its wines offer an honest flavour, appealing and fresh in young wines and understated and velvety in aged wines. It is regarded as the most favoured variety and for quite some years it has occupied the largest proportion of vineyards in the D.O. 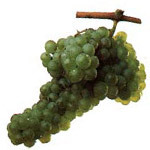 It occupies 7,589 hectares (15% of the total surface area) making it the main white grape variety grown in Rioja. Worldwide, 58,000 hectares are cultivated, of which 51,000 hectares are found in Spain. Its Spanish origin is recognised. It produces a small number of large clusters. 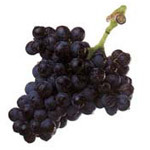 It is more productive than the red varieties but its fruit is sensitive to botrytis. In cool areas it produces a pleasant, acidy must, with a characteristic flavour. Its wine is considered to be appropriate for ageing in wood, which suits the traditional way of making white Riojas. With a surface area of 9,150 hectares, representing 18% of the vines grown within the Denominación, the Garnacha variety has gradually decreased in favour of Tempranillo. Its Spanish origins are internationally recognised. Among red wines, it is the most extensively grown variety in the world, with a total of 330,000 hectares, of which 240,000 hectares are in Spain. Liable to coulure if not properly tended, this is nonetheless a hardy plant, able to withstand periods of drought and also fairly resistant to pests and major vine diseases such as rust mites and powdery mildew. The product obtained depends largely on the environmental conditions (heat summation) and the way it is cultivated (production). In warm areas, it produces the kind of wine that has given it its reputation (high alcohol level, low acidity and full body) but in cool areas it produces a very interesting, well-balanced wine. In Rioja, barely 395 hectares of this variety are grown, representing 0.7% of the Denominación. It is regarded as indigenous and its Spanish origin is internationally accepted. 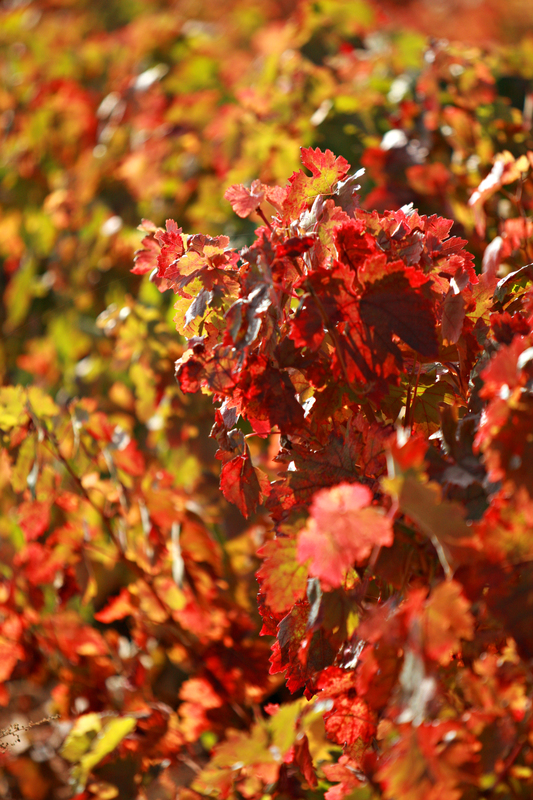 Of the authorised red grape varieties it is the one which occupies the least surface area of vine in Rioja and, unlike the previous ones, it is not grown in significant quantities in other areas. 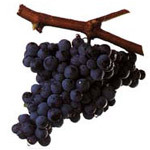 It is more resistant to pests and diseases than Tempranillo. It produces a bright red coloured must, with considerable acidity and a pleasant, characteristic bouquet. It is the most aromatic of all our varieties. It is important to gain better understanding of this grape variety in view of the likely increase of this grapevine in Rioja in the coming years. This variety is grown over a surface area of only 1,814 hectares, which makes up 3,5% of the D.O.Ca. Rioja. Worldwide, 220,000 hectares are cultivated, 207,000 of which are in France. 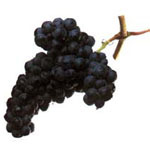 Its French origin is internationally accepted under the name of Carignan Noir. It bears more fruit than the previously mentioned varieties and it is extremely prone to powdery mildew. Mazuelo requires greater heat summation than the other varieties. In cool areas it does not ripen properly. It gives musts with a lot of colour and acidity, harsh and lacking in aroma. 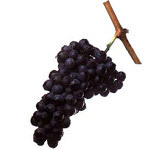 Its wines are rich in tannins and rough on the palate.